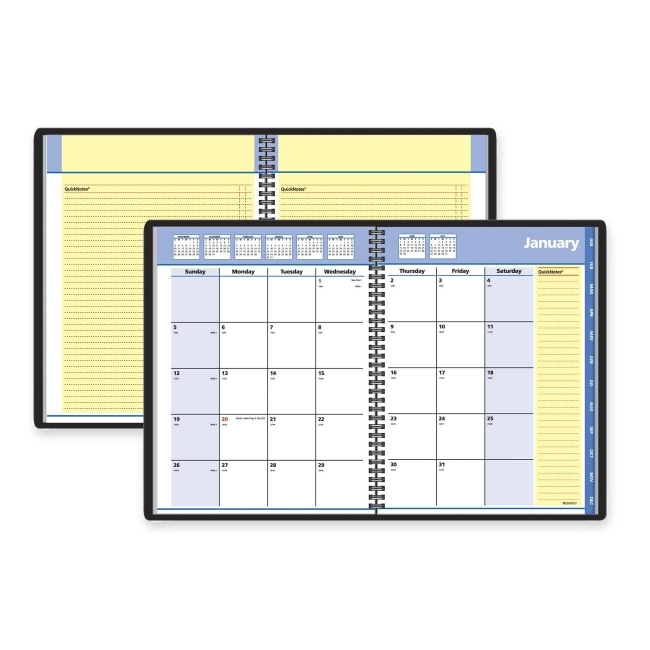 Keep organized with the QuickNotes Monthly Planning System to coordinate and plan business and social activities. Planning pages range 12 months from January to December. Two-page-per-month spreads include unruled daily blocks, column for lists and notes, Julian dates, and two past and six future months reference. Wirebound planning system includes a storage pocket, simulated leather cover, telephone/address pages and 40 QuickNotes pages. 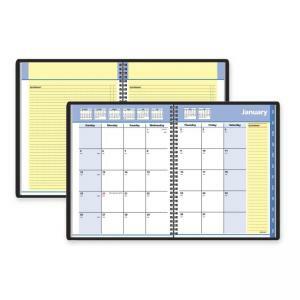 Pages are printed in four colors and made with at least 30 percent post-consumer material.